Casey has long held a keen interest in promoting and facilitating the health and well-being of Seniors. In that context, he has been involved in the Kiwanis Care Centre for over seven years. He is currently in his sixth year as the President of the Kiwanis Care Centre Society. The Kiwanis Care Centre is a 76 bed resident care facility located in New Westminster. It is located at 35 Clute St., directly behind Royal Square Mall. Press the prompt to go to the Fraser Health Region information on Kiwanis Care Centre. 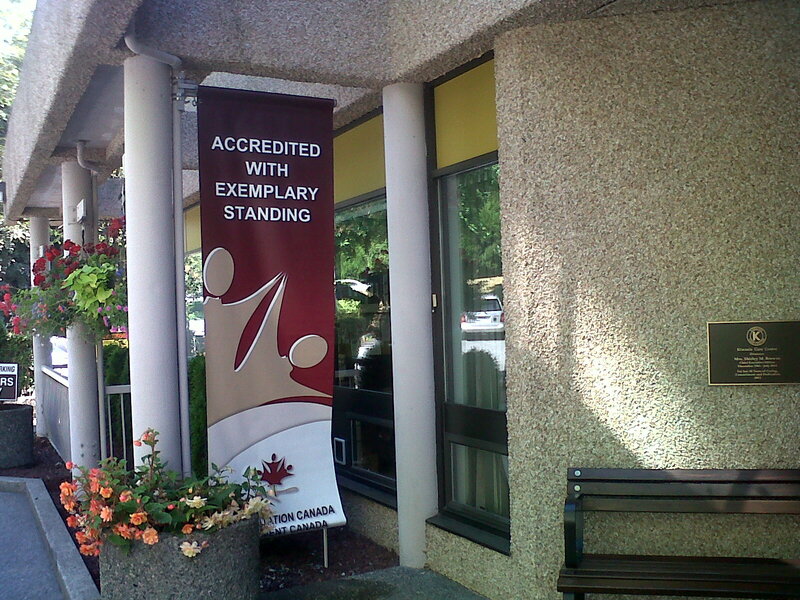 The Kiwanis Care Centre is a 76 bed resident care facility serving the lower Mainland Area. Its mission is to continuously improve the quality, effectiveness and efficiency of our care, services and resident satisfaction, to promote health and safe activities for our residents and staff, and to participate with other health agencies and to promote the well-being of the community we serve. We envision the Kiwanis Care Centre as a role model, resident safety centred, caring organization providing a unique holistic approach to life for our family members here, and our extended family in the community. Kiwanis Care Centre will endeavour to provide knowledgeable and current clinical therapeutic and support services to our residents to enhance the life quality. Our philosophy is a commitment to ensure that relationships between residents’ families, volunteers, board and staff are based on trust, respect, confidentiality and the maintenance of each person’s dignity. We are committed to organizing our continuum of care around our residents’ needs.